This year, we turn the spotlight also on women and girls. We want to discuss violations of their basic human rights and shed light on all sorts of gender-based discrimination. At the same time, we aim to tell stories of women as change agents, of empowerment and freedom. 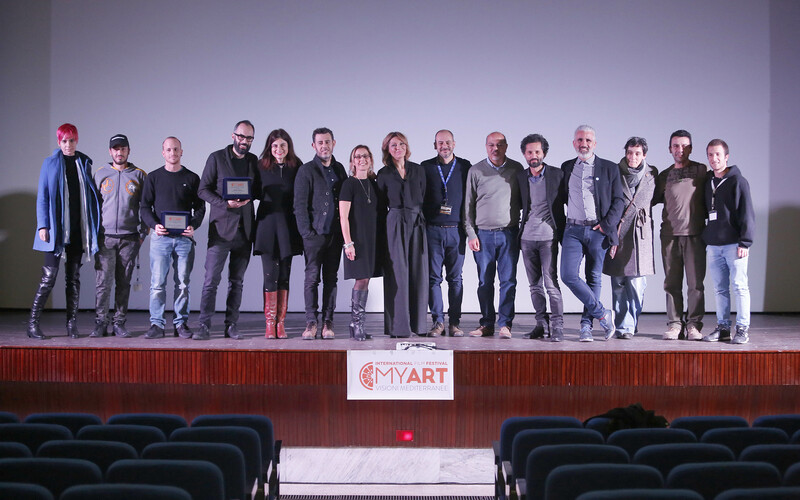 Films and videos that can participate in the competition sections – trailers preferably in Italian – are those produced after 1st January 2017. Documentary films created by directors of the nationalities admitted to the competition (minimum duration 50 min.) On themes relating to immigration, integration and cross-cultural exchange in Mediterranean Counties. Best documentary will be awarded a “Sprar Prize”. The monetary value of the award will be determined over the next few months (in past editions was 3500 euros). The award Institute acquires the rights to use the work for non-commercial promotional activities. Short fiction films created by directors of the nationalities admitted to the competition (maximum duration 30 min). On themes relating to immigration, integration, and cross-cultural exchange in Mediterranean Counties. Best short film will be awarded a “Migrantes Prize”. The monetary value of the award will be determined over the next few months (in past editions was 1500 euros). The award Institute acquires the rights to use the work for non-commercial promotional activities. Trailers that present the recent work of established directors, critically-acclaimed films, films that have won prizes in major international festivals, the best of contemporary cinema that narrates and interprets reality on the themes relating to immigration, integration and cross-cultural exchange. The possible projection of the films submitted in the Non competitive section, will be decided at the incontestable discretion of the Stage Management. The Festival devotes particular attention to young people and to students with a School Space: special screenings, a panel of young judges, meetings with directors and training seminars. and to send the film in its original language (subtitled in Italian or English) in Blu-ray disk format or by emailing an mp4 file, h264 file, or download link (Vimeo or Google Drive) to the following email address: submit@myartfilmfestival.com with user and password, following the procedure indicated in the entry form, before 31th July 2019. The Registration Fee is € 15,00. Fees for multiple subscriptions: 10 euros for each additional work. Il Festival è organizzato dall’Associazione Culturale Multietnica “La Kasbah” Onlus (di seguito denominata solo La Kasbah) che opera dal 2001 per la tutela e la promozione dei diritti umani, nonché per favorire percorsi di interazione e scambio fra culture differenti. In occasione del Festival, “La Kasbah” crea una Direzione Organizzativa e una Direzione Artistica. “Strange fish” di Giulia Bertoluzzi ha vinto il primo premio per la sezione documentari del MyArt Film Festival, la rassegna del cinema indipendente che si è svolta a Cosenza dal 16 al 18 novembre. Per la sezione cortometraggi, ha invece primeggiato “Krenk” di Tommaso Santi.